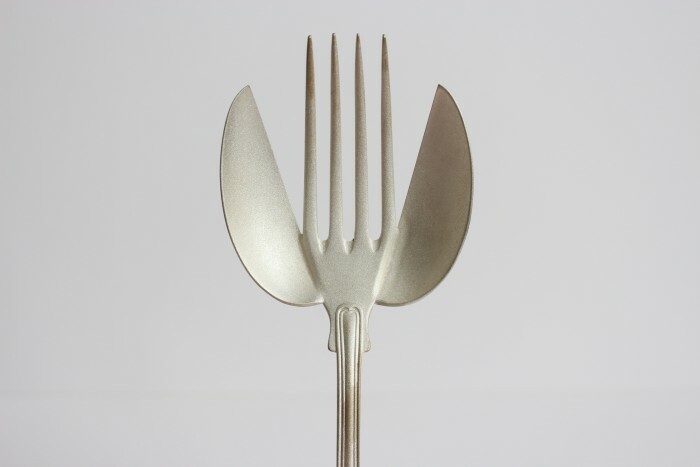 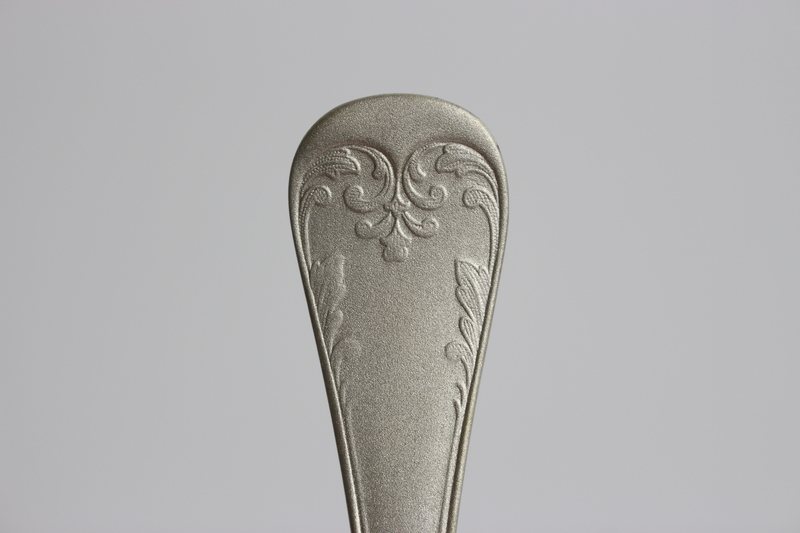 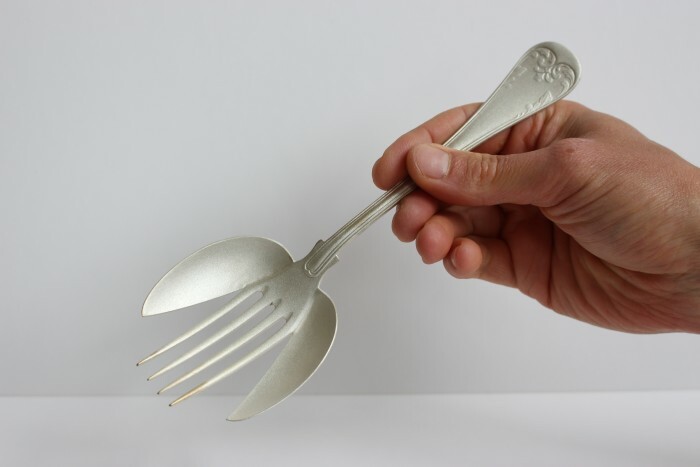 This fork-spoon is made of antique nickel silver cutlery and silver leaf. 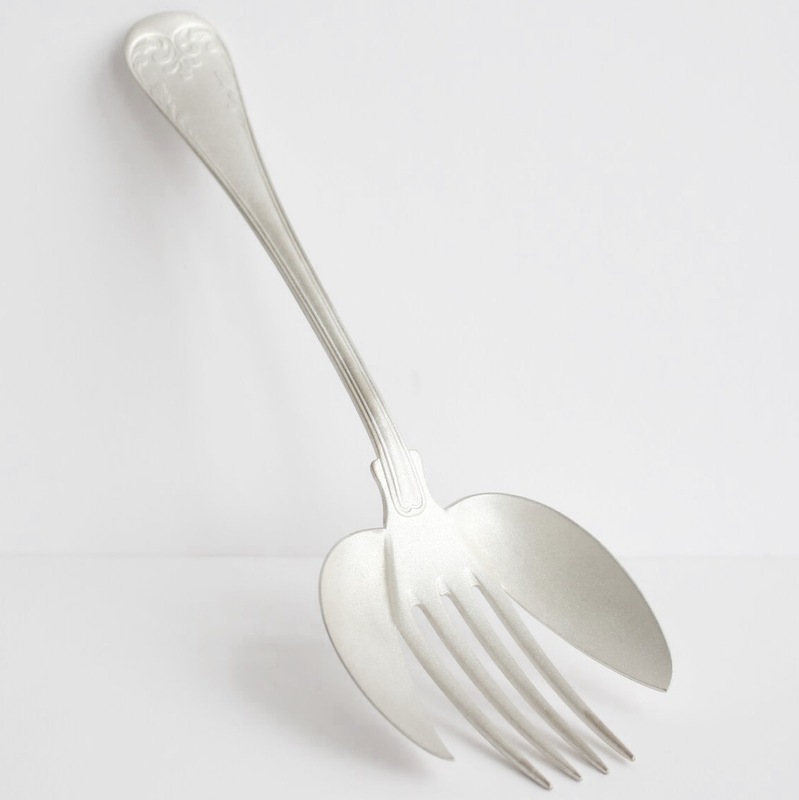 Part of the “Spoon project” from Maki Okamoto aiming to transform antique cutlery found in Stockholm and inherited by her husband’s family. The result is a kind of mutation that contains the cutlery’s ingredients, but the function is no longer obvious. 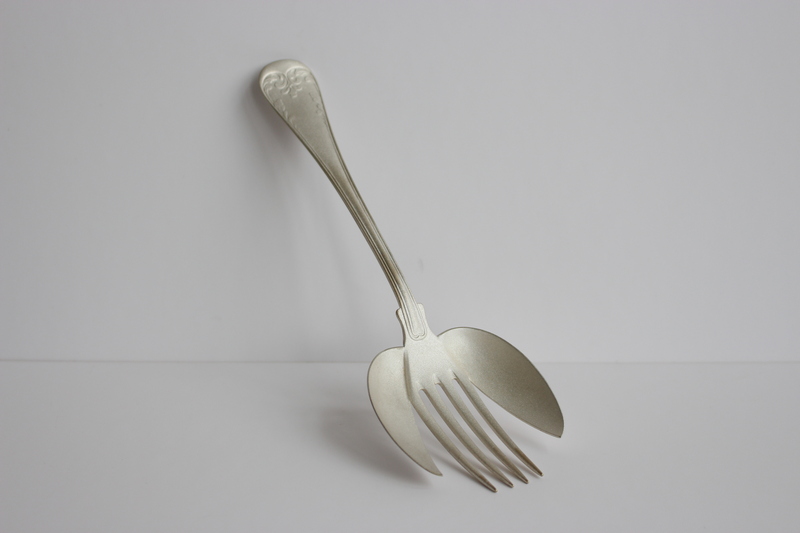 The fork-spoon invites to use ones imagination and to find out different perspectives, whilst becoming a part of the creation.